In his first book of stories since The Bridegroom was published in 2000 ("Finely wrought . . . Every story here is cut like a stone. "—Chicago Sun-Times), National Book Award–winning Ha Jin gives us a collection that delves into the experience of Chinese immigrants in America. 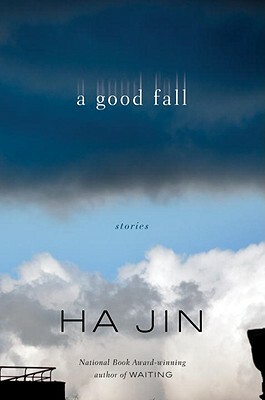 With the same profound attention to detail that is a hallmark of his previous acclaimed works of fiction, Ha Jin depicts here the full spectrum of immigrant life and the daily struggles—some minute, some grand—faced by these intriguing individuals. A lonely composer takes comfort in the antics of his girlfriend's parakeet; young children decide to change their names so that they might sound more "American," unaware of how deeply this will hurt their grandparents; a Chinese professor of English attempts to defect with the help of a reluctant former student. All of Ha Jin's characters struggle in situations that stir within them a desire to remain attached to be loyal to their homeland and its traditions as they explore and avail themselves of the freedom that life in a new country offers. In these stark, deeply moving, acutely insightful, and often strikingly humorous stories, we are reminded once again of the storytelling prowess of this superb writer. HA JIN left his native China in 1985 to attend Brandeis University. He is the author of five novels, three story collections, and three books of poetry. He has received the National Book Award, two PEN/Faulkner Awards, the PEN/Hemingway Award, the Asian American Literary Award, and the Flannery O'Connor Award for Short Fiction. Ha Jin lives in the Boston area and is a professor of English at Boston University. "Not to be missed. . . . A beautifully written, elegant, subtle, and yet always precise collection. . . . A Good Fall shows the daily struggles of immigrant life, but ultimately the hopefulness that can come with starting over." "In these stark, deeply moving, acutely insightful, and often strikingly humorous stories, we are reminded once again of the storytelling prowess of this superb writer."